​ One of the world's leading cruise port cities, Fort Lauderdale is located on the southeast coast of Florida. It is 23 miles north of Miami and 42 miles south of Palm Beach. Covering 38 square miles, it is the largest city in and seat of Broward County, Florida. A city with a population of 176,000, Fort Lauderdale is extensively developed. It has a downtown section with high-rise office buildings. Radiating out from the center is somewhat less dense urban development. The resorts are mostly by the sea. There are 23 golf courses in the Fort Lauderdale area. 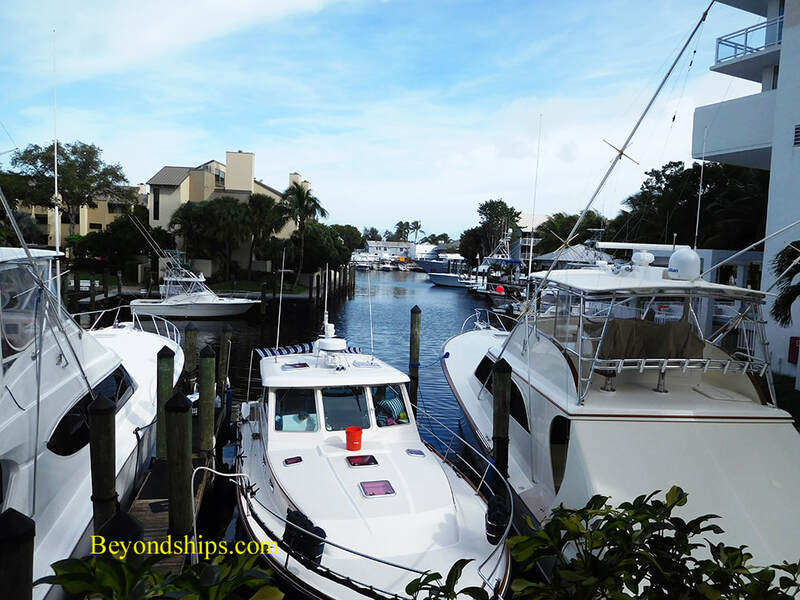 It has over 100 marinas and boatyards with 45,000 yachts and boats calling Fort Lauderdale home. 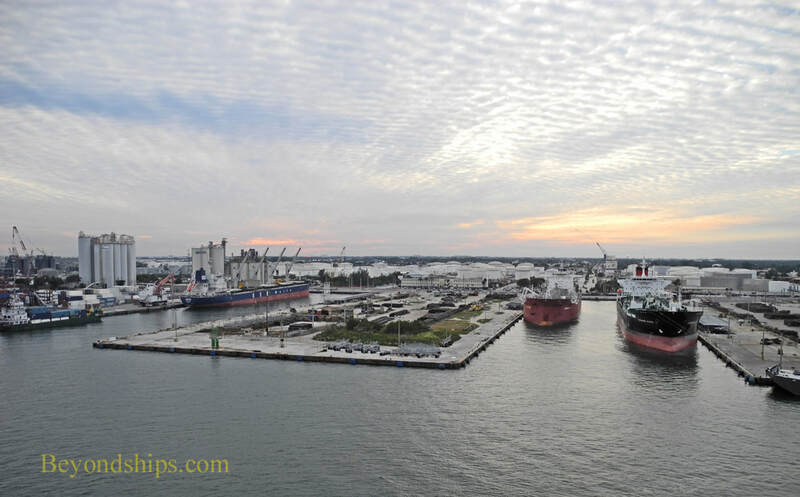 The port, which is called Port Everglades, is south of the city center. Largely undeveloped until the 20th century, Fort Lauderdale was incorporated as a city in 1911. It was named after a fort built there in 1838. Major William Lauderdale commanded a detachment of Tenessee Volunteers who built a series of forts in the area during the Second Seminole War. The first of these forts was known as Fort Lauderdale and so the city was named after the fort. Nothing remains of the fort. Long before Major Lauderdale arrived, the Tequesta people lived in the area. European diseases brought by Spanish explorers in the 18th century nearly wiped out the Teqquests. At around the same time, the Seminoles migrated into the area. Frank Stranahan established a trading post by the New River in 1893 and a few years later the Florida East Coast Railway reached the area. However, it remained sparsely populated. Fort Lauderdale's first spurt of growth occurred during the Florida land boom of the 1920s. However, the Great Depression ended that growth. Port Everglades was a U.S. Navy base during World War II. 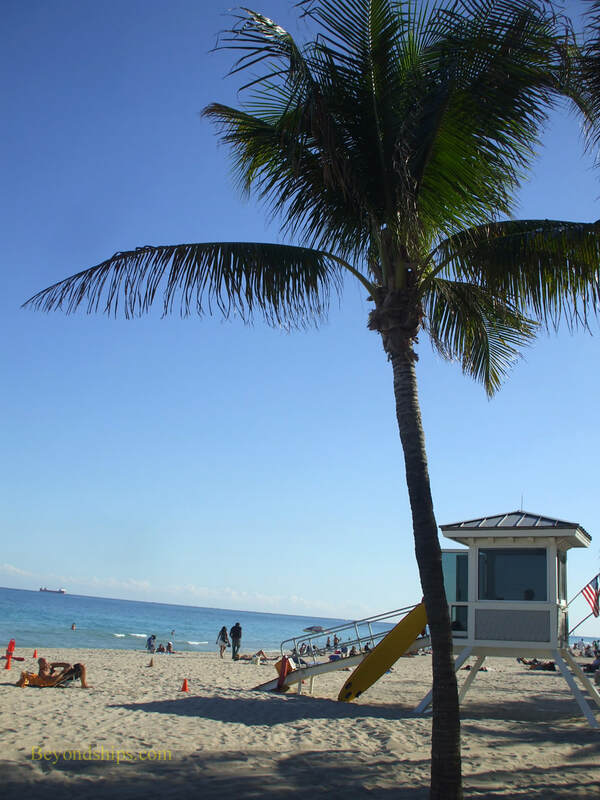 The Fort Lauderdale area once again began to grow after the war as former servicemen returned to the area because of its pleasant semi-tropical climate. 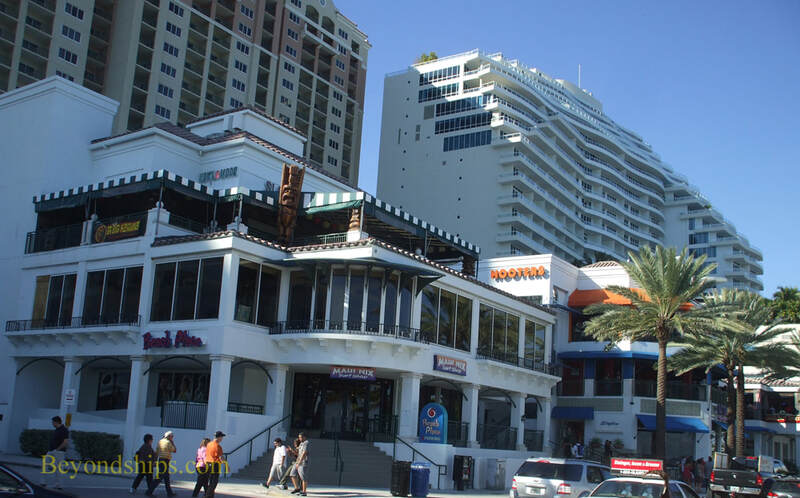 Fort Lauderdale continued to grow through the second half of the 20th century, primarily as a tourist destination. The official currency in Fort Lauderdale is the U.S. dollar. Other currencies are not widely accepted. However, major credit cards are widely accepted. English is the official language. Some people also speak Spanish. Other languages are not widely understood. Above: The skyline of downtown Fort Lauderdale. Below: Along the beach are restaurants, shops, and cafes as well as condominium towers. Above: Port Everglades is no longer a Navy base but it is not unusual to see a Navy ship making a port call. 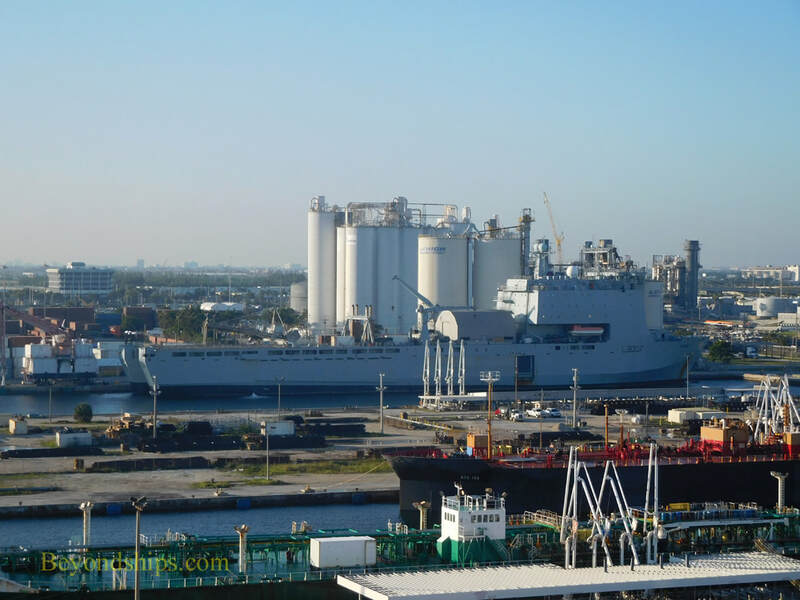 ​Below: In addition to being a major cruise port, Port Everglades also is an important cargo port. ​Above: Fort Lauderdale has numerous canals and is home to numerous yachts and small craft.